Untold Stories: Female Street Prostitution as Represented in Ruwanthie De Chickera's Middle of Silence. Sahithya - Department of Cultural Affairs, Ministry of Internal Affairs, Wayamba Development and Cultural Affairs. Sri Lanka. 2017:50-70. Translations: Biopolitical Linguistic Cartography? (abstract). Ireland's Writers in the 21st Century: International Association for the Study of Irish Literatures (IASIL-2017). 2017. Jayathilake C. Rebels and Biopolitics: Mahasweta Devi’s Mother of 1084 (DOI:10.3968/8404/ISSN 1923-1563). Studies in Literature and Language, Canadian Academy of Oriental and Occidental Culture (Canada). 2016;12. Jayathilake C. Rebels and the Body of Democracy: Mother of 1084, in The AHRC( Arts and Humanities Research Conference) North West Consortium at Keele University , United Kingdom. ; 2015. Jayathilake C. Embodied and disembodied biopolitics in Rasanayagam’s Last Riot: political aesthetics and linguistic cartographies in political theatre, in The Annual International Conference of the Royal Geographical Society with IBG, Imperial College, University of London, UK. ; 2014. Jayathilake C. Correcting errors: The relative efficacy of different forms of error feedback in second language writing. English Review: The Indonesian Journal of English Education. 2013;1:139–150. Jayathilake C. Classroom Interactional Feedback in Second Language Acquisition (ISBN: 9783639514643); Saarbrucken (Deutschland/Germany): Scholars' Press . 2013. Jayathilake C. ‘Negative Evidence and Second Language Acquisition’. 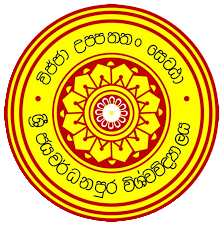 VISTAS: Journal of Humanities & Social Sciences, Open University Publication (Sri Lanka). 2012;7. Jayathilake C. Classroom Interactional Feedback: A True Facilitator in Second Language Learning?. In: Language and Literature: ELT Across the Boarders (Edis. H.S. Chandalia & G.K. Sukhwal). New Delhi: Creative Books; 2011. Jayathilake C. “Matilda” by Hilaire Belloc"'. SLELTA Quarterly. 2011;10. Jayathilake C. Negative evidence through classroom interactional feedback in second language acquisition: effective for delayed language contexts?. 2011. Jayathilake C. ‘Monkeys by Punyakante Wijenaike’. SLELTA Quarterly. 2010;9. Jayathilake C. The role of classroom interactional feedback in facilitating second language acquisition. 2009. Jayathilake C. The Origin of African Theatre : An Overview ( A brief summary). https://www.academia.edu/2466069/The\_Origin\_of\_African\_Theatre\_An\_Overview. 2008.